From the Civil War to civil rights, Georgia’s capital has been a place wrought with history-making events. 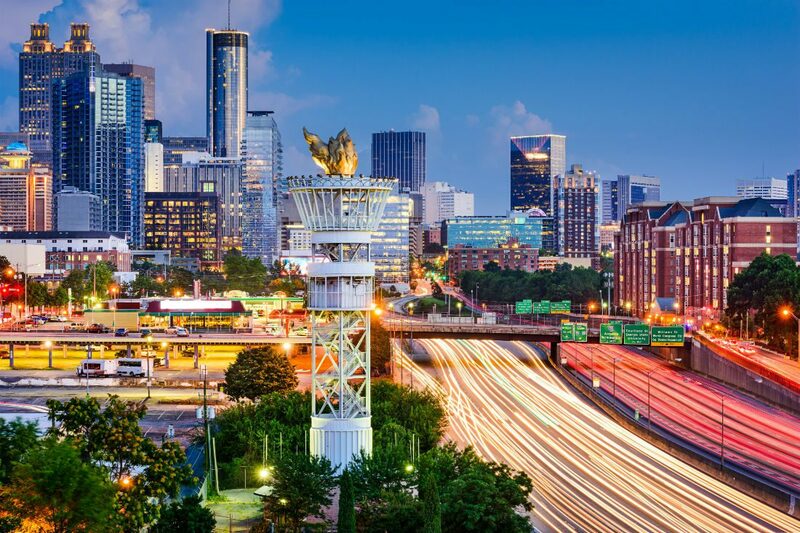 Discover Atlanta and explore its rich history through its many historic sites, landmarks and museums, including the MLK Jr. National Historic Site, Margaret Mitchell House, Atlanta History Center, Jimmy Carter Presidential Library & Museum, and Oakland Cemetery. Some of Atlanta’s most-visited attractions are located around Centennial Olympic Park, downtown’s epicenter. The Georgia Aquarium, World of Coca-Cola, SkyView Atlanta Ferris wheel, Center for Civil and Human Rights, College Football Hall of Fame and Chick-fil-A Fan Experience, and CNN Studio Tour are a few of the easily accessible attractions.